This is the next part of the previous post. 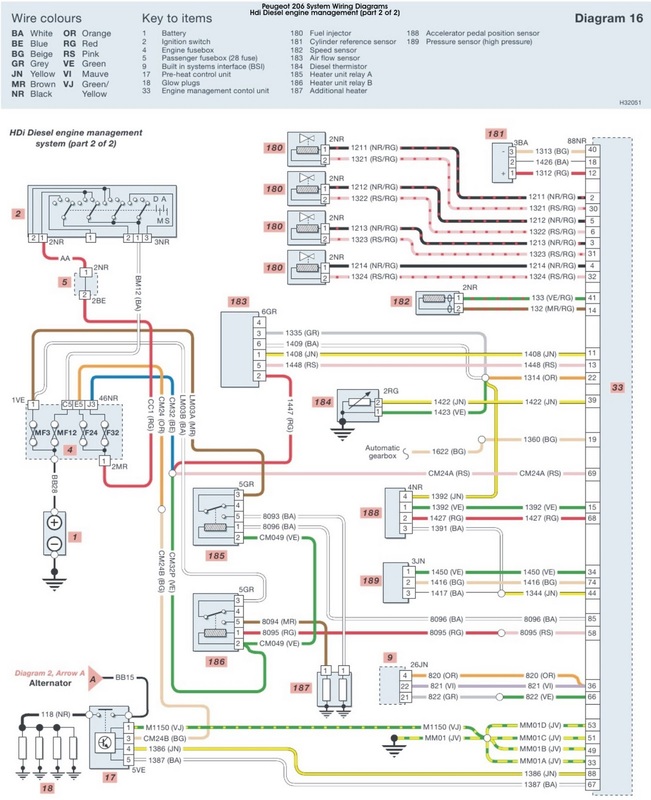 This post will about the Peugeot 206 HDi Diesel Engine Management System part 2 Wiring Diagrams. If you have problems on Peugeot 206 HDi Diesel Engine Management System, you should understand this post and the previous one to have enough understanding about Peugeot 206 HDi Diesel Engine Management Systems. As shown on the image hereafter, you will see the key to items like: battery, ignition switch, engine fusebox, passenger fusebox, built in system interface, pre-heat control unit, glow plugs, engine management control unit, fuel injector, cylinder reference sensor, speed sensor, air flow sensor, diesel thermistor, heater unit relay A, heater unit relay B, additional heater, accelerator pedal position sensor, pressure sensor (high pressure). For more detail about the Peugeot 206 HDi Diesel Engine Management System part 2 Wiring Diagrams, you can see the image below (click on image to enlarge). In this post you will also see the wire colors code. It is so easy to understand and comprehend the wiring diagrams. It is because the image that show a very clear to read and colorful. So, we hope that you will be able to easily understand the Peugeot 206 HDi Diesel Engine Management System part 2 Wiring Diagrams. 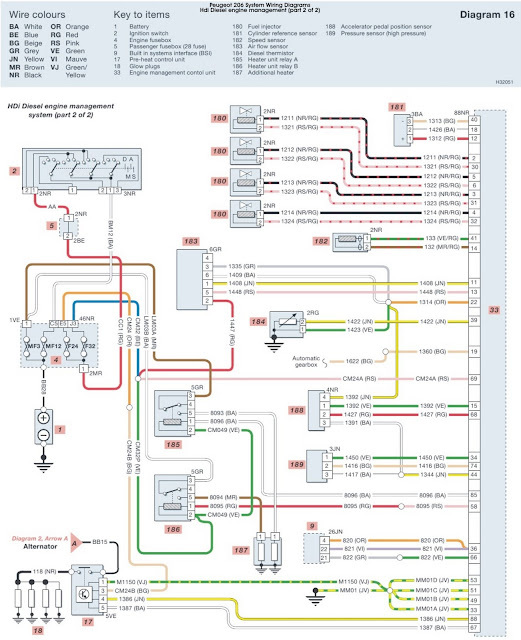 Well, to see another Peugeot wiring diagrams you can CLICK HERE.